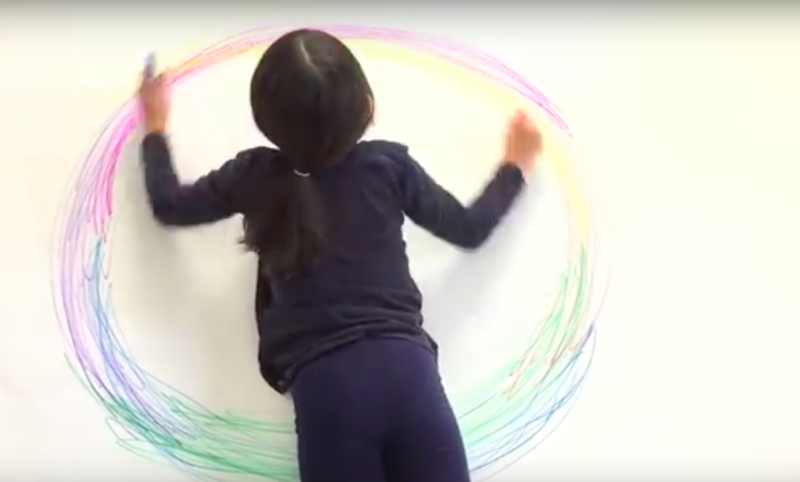 These Kids Are Using A Crazy (But Familiar) Technique To Create Some Beautiful Art! Chances are you had a Spirograph when you were small and that you created some pretty cool art with it. Remember how when you really start to get the hang of that thing, it gets pretty addictive! This is a really cool twist on the classic Spirograph where you can still create the same geometric shapes but…LIFE SIZE! One of these would make a really fun mural! Do you remember using a Spirograph? What was your favorite drawing toy when you were a kid?